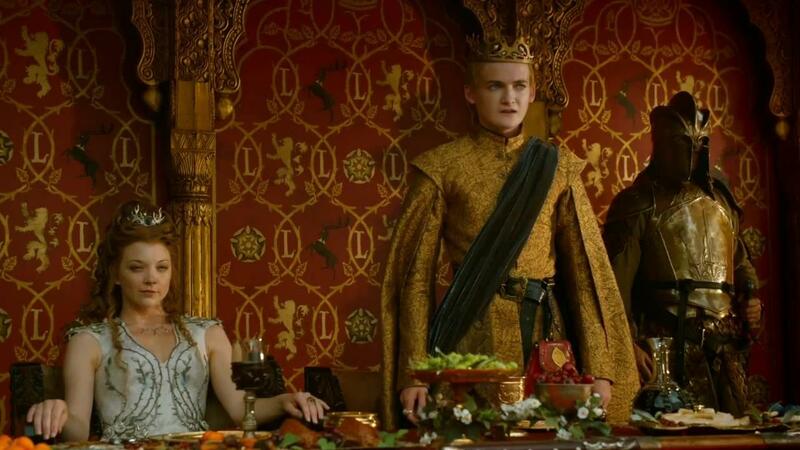 One of the reasons I have never watched ‘Game of Thrones’ is that I believe reality always trumps fantasy. Our brains cannot conceive of original ideas, they must be stimulated by the environment first. Hence GofT and the pillars of pulp generated by Ken Follet and his ilk hold no attraction for me*. The mesh of stories I am about to recount, I believe, bears this out. 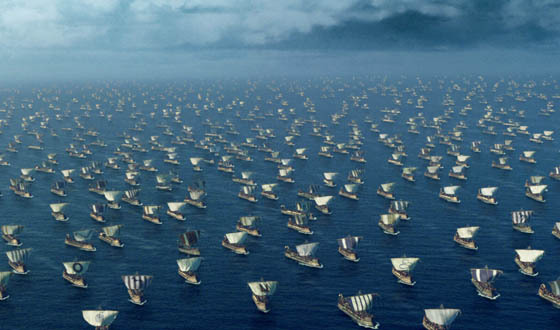 Ancient galleys sailed all over the ancient world, between the smallest island and the largest empire. They took part in great events, more we have a hint of, many more remain unknown. Pursuing their wake through history can also lead one into some obscure and frustrating and fantastic corners of the ancient world. Whoooooaa! This one is going to be a wild ride !!!!!! Banned literature is always exciting. Proving that banning will never work and open discussion of ideas and true freedom of speech is the inevitable and correct position to hold. In 448AD the Emperor Theodosius II banned a book and ordered all copies burnt. Because the work was banned it also instigated a storm of refutation and thirty Christian scholars obliged in securing its immortality by generating screeds of text discussing why it was sooooo wrong. Thus we have have record of an obscure work which might otherwise have faded unremarked from history. The work was ‘Kata Christianon - Adversus Christianos – Against a Christian’. Written by a disgruntled semi-retired philosopher, Porphyrius of Tyre. He was maybe also a disgruntled ex-Christian. Porphyrius’ hobby horse was that Christian texts were often faked-up by recasting history as prophecy. This realisation forced him to baulk at accepting the now dominant belief Hence ‘Kata Christianon’ which, like a kata-pelta, was intended to pierce through the new cult with deadly effect. Theodosius’ ban was indication that P. was fairly well on target, indeed, Gibbon and later scholars now follow the sour philosopher’s proposal as fact. 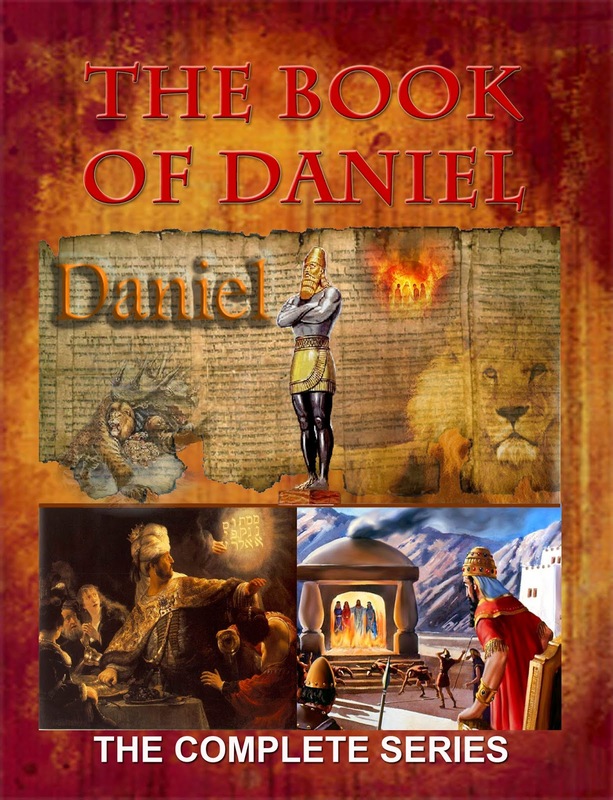 A major pillar of Porphyrius’ thesis was that the Book of Daniel was written by a scribe who recounted recent events from his own time and then Tardis’ed them back to Daniel’s time to give a pleasing but anachronistic prophetic effect. 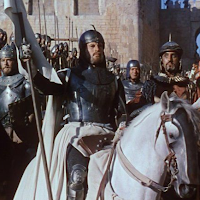 These events involved the armies and fleets of the Successors and the political and palace intrigues of their rival dynasties – eat your heart out GofT fans. Yes, the Bible does have such fun military and internecine stuff within it which deals with not only the remote pre-history of Bronze-Age shepherds but also the battles and personalities of the Classical World – at least in the pre-Hippy part. 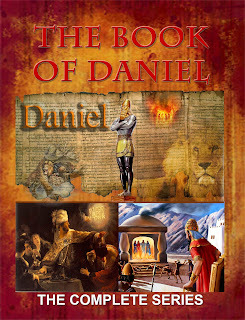 The pseudo-Daniel wrote circa 165BC and his ‘prophesy’ deals with the rise and fall of empires around and about Israel before his time. 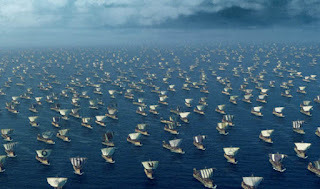 Several naval clashes between these Successor kingdoms took place in connection with what could be called The Divorce Wars’. These were fought, not over access to children or at the instigation of money-grubbing lawyers, but between the erstwhile Band of Brothers that had surrounded Alexander and with armies and navies over access to territory and who owned what after the traumatic break-up of Alexander’s legacy. In 253BC the Second Ptolemaic-Seleucid War was concluded. Ptolemy II Philadelphos decided that he had to negotiate or lose all his overseas posessions in Asia Minor one by one to Antiochos II Theos. His genius manoeuvre was to disguise reparative payments and acknowledgement of defeat as the payment of a dowry to Antochos along with the gift of his daughter as wife. The Seleucid and Ptolemaic thrones would thereby be united after the resultant heir of Antiochos, also with Ptolemaic blood, was crowned and the two kingdoms would go forward in peace. With bunnies. Antichos got his epithet 'Theos' or 'The God', during the early stages of the war when he got rid of Timarchos the tyrant of Miletus and was thus a sviour from heaven for them. Philadelphos epithet is less illustrious. It has been suggested it was ascibed to him as 'sister lover' - a reference to the supposed Ptolematic tradition of incestuous marriage. 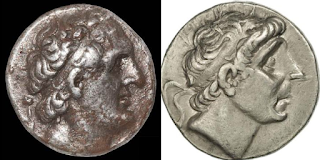 Conveniently for Ptolemy, Antiochos had recently become estranged from his queen, the mother of his two sons. Laodike. Laodike was of pedigree stock and married Antichos before he became king. She bore him two sons. 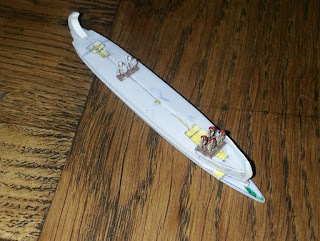 All was not rosy, however, and Antiochos dumped her some time during the war. 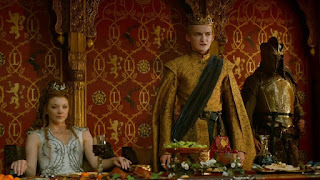 Hell hath no fury like a queen-with-two-kids-to-support-and-good-connections scorned. Laodike : Berenike : Berenike ? It probably did not help that the interloper was a foreign demi-goddess who was an atheletic beauty and younger to boot. Ptolemy II Philadelphos’ daughter was a certain Berenike. And so was his wife. And so was his first baby daughter who died. Without putting numbers and epithets on everybody this situation can quickly get out of hand, and indeed, this was what had led to my confusion. The confusion that led to me trying to unravel the web of Ptolemies and Berenikes which was interfering with my understanding of the Syrian Wars. (not the Roman-Syrian Wars, you understand, just make that absolutely clear!). Several modern authors have come unstuck in this, literally, incestuous Ptolemaic family jungle. Berenike, daughter of Ptolemy II and Arsinoe was born circa 275BC. The name means ‘Bringer of Victory’ and has its modern counterparts in Bernice and the latinised Veronica.Her older sister Berenike who had died in infancy, luckily for our confusion. She was brought up with all the advantages of the richest court in the Mediterranean. She was not cloistered away. On the contrary, she became a renowned athlete and competed in public, possibly starkers. In 261 she competed at the Nemean games and the Isthmian games. These took place in the Argolid and near Corinth . 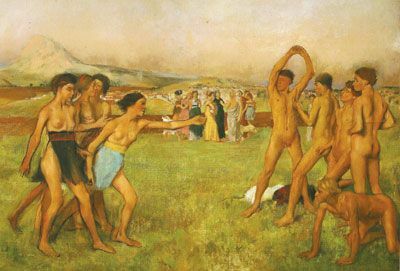 Along with the Olympic and Pythian games they were part of the cycle of Pan-Hellenic games which united the Greeks in religious observance and personal and political competition. There was probably also gambling in the wings. Now, Berenike’s mother was, thankfully, not called Berenike, but her grandmother was. Berenike I, the wife of Ptolemy I Soter. Berenike I was also an Amazon and had won in chariot racing at the Olympiad. Berenike, daughter of Ptolemy II and Arsinoe continued this tradition. It is interesting that Berenike I was from Cyrene in Libya and the Libyans were one of the last peoples to use chariots in warfare. There was some ethnic proclivity in the line for racing with chariots maybe. The chariot of the Greek games was either 2-horse or 4-horse version. Berenike, daughter of Ptolemy II and Arsinoe I won with a quadriga, the 4-horse type at the 131st Olympian games in 256BC. The vehicle was extremely light and gave little protection. They raced around a long track with turns at each end to make the circuit. Women could participate unlike most of the games which were barred to even female spectators. 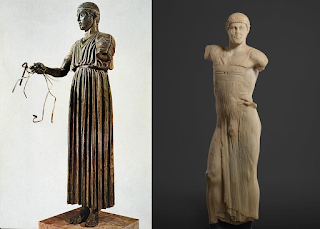 The charioteer should be light and a young woman ideal in this respect, Berenike, daughter of Ptolemy II and Arsinoe I was not an adult when she competed. She was accompanied to Greece by her father who could have ‘competed’ in the usual way by putting his vehicle and driver in the competition. Owners rarely partiook of the dangerous sport. But it is unlikely that Berenike daughter of Ptolemy II and Arsinoe I at that age, 18 or so, owned horses and driver. The image of a bronzed naked girl zooming along in a chariot with her hair flying may be appealing but it is inaccurate. 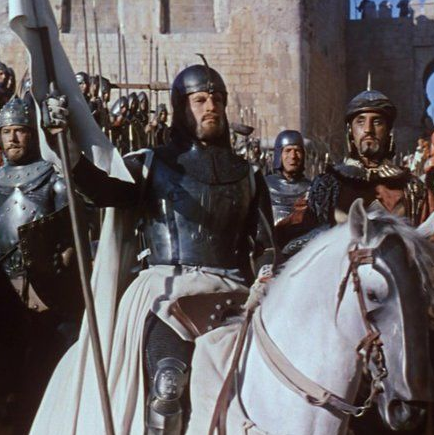 Charioteers wore a long protective garment secured by straps. Ah, well. Such victories by a young royal woman would have resounded round the Hellenic world and no doubt contributed to Antiochos II’s willingness to enter the compact that ended the Syrian War. A nubile charioteer to replace his steely matron. Another key factor was the dowry. This can have been a disguised reparation paid by Ptolemy. We know it was of considerable size. So considerable that Berenike, daughter of Ptolemy II and Arsinoe I at last got her own epithet and we can identify her better in her own right.She became known henceforth as Berenike Phernophorus -Dowry Bearer. This gives slight relief, however, because she was subsequently also known as ‘Syra’ - the Syrian. 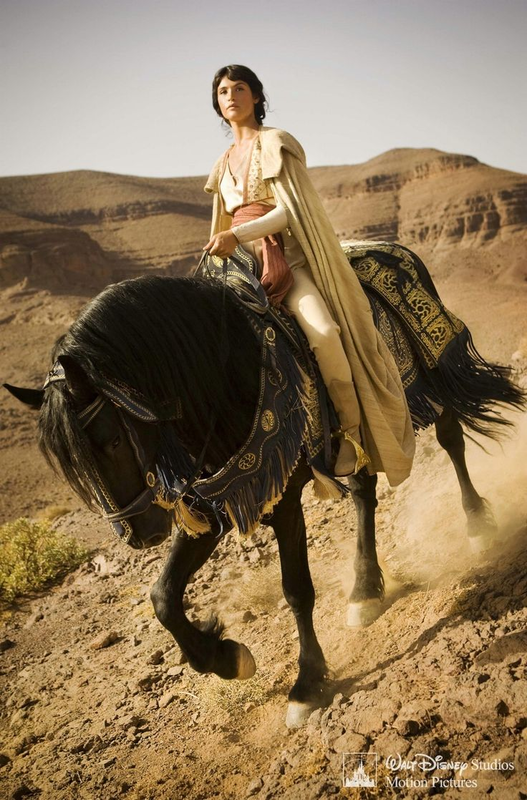 Anyway this princess is escorted to the Syrian border city at Pelusion – north of Tyre – with a massive dowry. 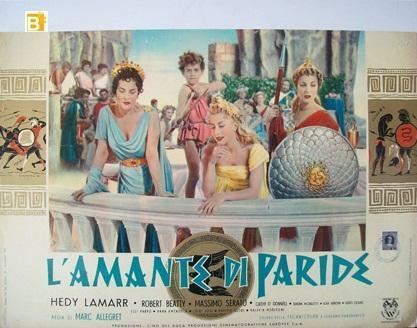 Antiochos married her with according pomp and they all lived happily ever after for a short while. Berenike Phernophorus bore a son, Antiochos ( Oh God ! Its starting again!). He was declared heir to Antiochos II Theos. Hell broke loose. We know not why but Antiochos II Theos got cold feet with respect to his new dynastic marriage. A rather spooky possibility as to the reason why has surfaced in recent years. 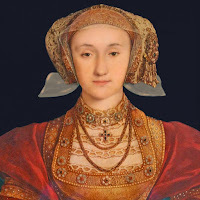 It is a story which reminds one of the celebrated disappointment of Henry VII and Anne of Cleves. The reports of her beauty and her Amazon personality may have given false expectations that the reality could not live up to. But Sire, her eyes bulgeth not and her neck is veritably slim. Nor raceth she with a cart and 4 horses. Just give her one for England ? 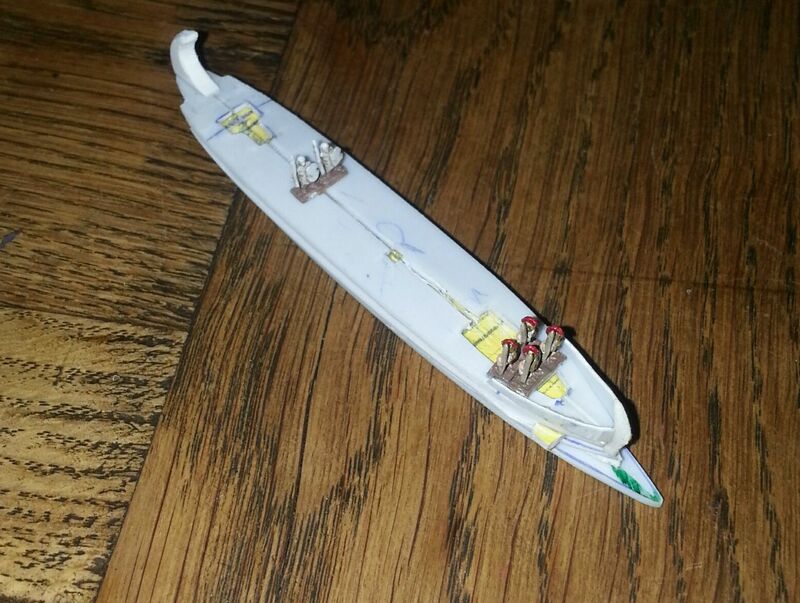 As with Henry Antiochos may have had course to retort the princess was ‘nothing so fair as she had been reported’. Mystery surrounds the reasons for Henry and Anne’s lack of attraction. Recently, however, a suggestion has been made which could explain that of their Hellenistic counterparts. People with Erdheim-Chester disease often have bone pain, especially in the lower legs and upper arms, due to an abnormal increase in bone density (osteosclerosis). Damage to the pituitary gland (a structure at the base of the brain that produces several hormones, including a hormone that controls the amount of water released in the urine) may result in hormonal problems such as a condition called diabetes insipidus that leads to excessive urination. Abnormally high pressure of the cerebrospinal fluid within the skull (intracranial hypertension) caused by accumulation of histiocytes in the brain may result in headaches, seizures, cognitive impairment, or problems with movement or sensation. People with this condition can also have shortness of breath, heart or kidney disease, protruding eyes (exophthalmos), skin growths, or inability to conceive a child (infertility). Affected individuals may also experience fever, night sweats, fatigue, weakness, and weight loss. Could this be some of the explanation for Antichous waning passion ? As the girl was getting older she would have been exhibiting more severe symptoms,. Another factor was that in the winter of 246BC Ptolemy II Philadelphos gave up the ghost. There was no longer the physical presence of the man who persuaded him to marry the bug-eyed charioteer and Antiochous II Theos possible saw the merits of keeping his ties local to his kingdom and the advantages of two growing sons by Laodike as potential successors rather than a, possibly bug-eyed, foreign infant whose mother he was pressured to accept. Laodice was, as we have already said, a noblewoman of an old and great family and she could not be expected to have remained inactive in trying to insert her offspring back into the line of succession. She was a tough cookie who would not stop at foul means to get her way. Whatever the reason, the fact was that Antiochos II Theos became reconciled with Laodike and he joined Laodike at her palace in Ephesus to declare their oldest son, Seleukos Kallinikos, heir. No doubt they had a splendid second honeymoon but it did not last for long. Being cast-off like used clothing did not sit well with Mrs Antiochos. She fumed quietly and then an unfortunate event occurred at Ephesus. Antiochos II Theos passed mysteriously away, leaving his son with Laodike, Seleukos II Kallinikos as king. Heart attack, poison, who knows ?! But not so fast ! The benighted Egyptian girl was also made of stern stuff. The same guts which helped her steer four fearsome horses round the stadium to victory now gave her the resources to react, for Berenike, daughter of Ptolemy II Philadelphos and Arsinoe I, also known as Syra and Phernophorus, was ensconced in Antioch. 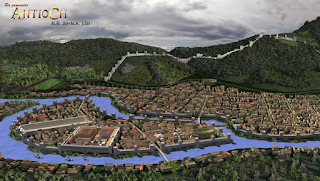 Antioch on the Orontes, the capital, not to be confused with any of the other 15 Antiochs, was no ordinary place. 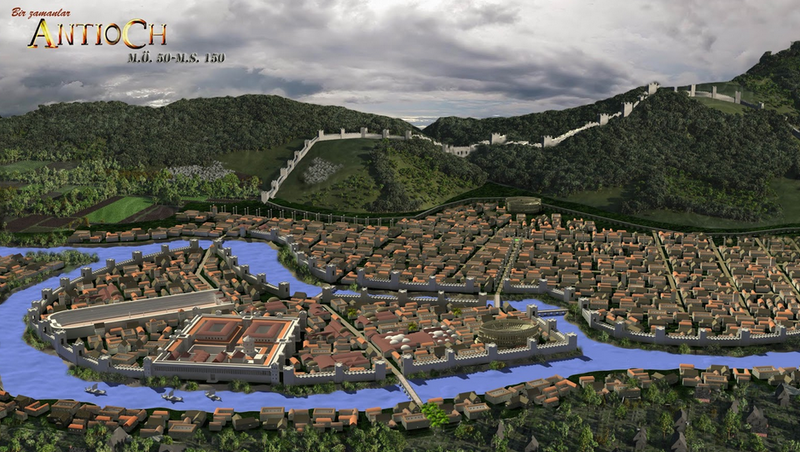 It was a city at the heart of the Seleukid Mediterranean territories, was well fortified and lay on the river with access out to the Mediterranean. Further down the river lay the Seleukid naval base of Seleukia Pieria. 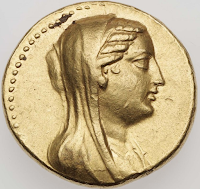 Berenike, daughter of Ptolemy II Philadelphos and Arsinoe I, also known as Syra and Phernophorus, maintained the loyalty of the forces in this area, a difficult thing for a young foreign princess to do, now deserted by her king husband. From within her palace Berenike...ditto.. declared her own son Antiochos as rightful heir. And not without support. Even the governor of Ephesus, Laodike’s stronghold, declared for her and ran off to Egypt. She , Berenike Syra, then organised a naval expedition which gained her faction the strategic initiative. Cilicia Trachea, had always been a Ptolemaic province until lost after the Second Syrian War and Berenike counted on snatching it back to form a larger core to her holdings against the inevitable Seleukid counter-strike. 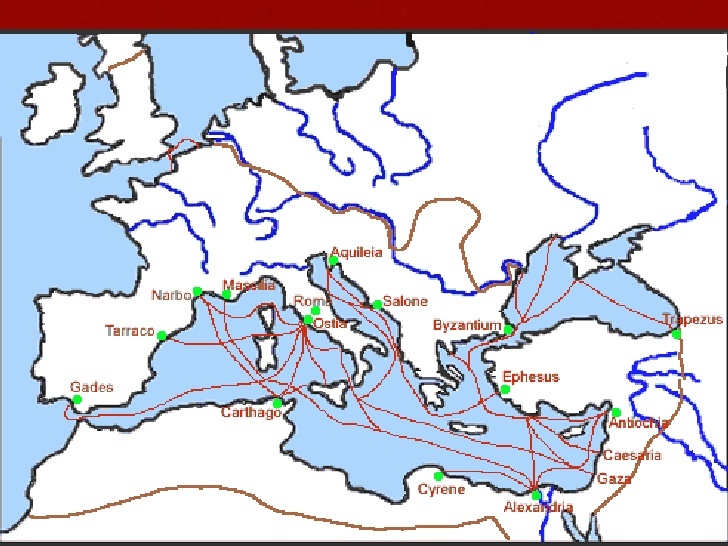 Her expedition took Cilician Soloi and snaffled the treasury of the province before it could be spirited away to Ephesus. Things were looking up and her brother, newly crowned Ptolemy III (not to be confused with…all the other Ptolemies) assembled a great force to come to her support. The war had well and truly started and it can be called the Third Syrian War, between Ptolemaic Egypt and the Seleukid kingdom. More innovative, or maybe easily-bored historians, have called this conflict the Laodikean War. This gives a better characterisation of the events as a catfight while Antiochous II was dead and Ptolemy II in Egypt. Berenike Phernophorus now stood in good stead. 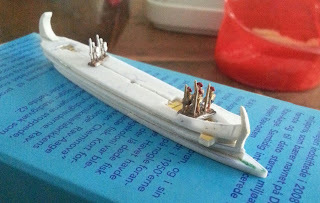 She had an army, a navy, two key provinces of the kingdom and the 7th Egyptian Cavalry on the way. Unfortunately she was living in one of the most dangerous environments ever known to man. A royal palace of an eastern dynastic court. Laodike, not above ‘alternative’ methods as we have seen, still had tentacles which could reach the length of the Seleukid lands. Berenike took precautions. She engaged Galatian mercenaries as trusted guards and ensured her citadel was not accessible to dubious officials or military. These precautions were not enough, however, and a group of assassins managed to break in to the palace and strike down Berenice. Tragedy! Oh tempore! Oh mores! But all was not yet lost. Berenike …ditto… had several trusted and resourceful ladies-in-waiting. 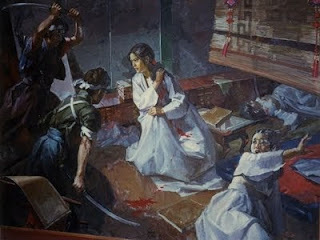 As the assassins struck the women fought back and several were cut down defending their mistress. The successful but startled attackers beat a retreat before ensuring their handiwork was complete and the result broadcast. Berenike’s grieving ladies now sprang into action. Action that was at once macabre and pragmatic. One with a likeness to Berenike (pop-eyes, thick neck ?) took to the bed and declared for the court from under a blood-stained veil ‘I’m not dead,I think I’m going to get better’. Meanwhile the assassins procured a boy who was the spit of Antiochos and showed him from a suitably high and distant balcony. They hoped to prove they had not been so dastardly as they had in fact been, and to show that the line of succession was still intact for a Seleucid kingdom. But this which only served to prove the Ptolemaic claim was still alive and kicking. The Ptolemaic faction remained coherent and loyal under a regent and then transferred its affections to Ptolemy III when the dastardly Laodike’s triumph was eventually revealed. Now Ptolemy III made a bold move. 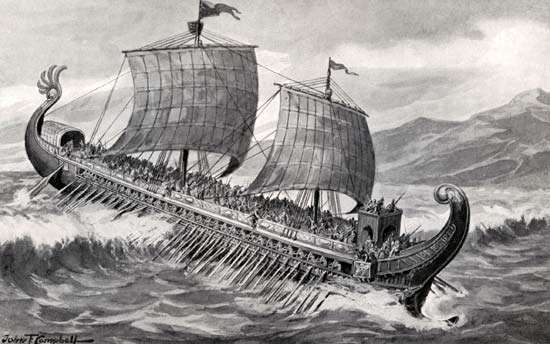 He sailed into Seleukia Piereia with a fleet, and gained the enthusiastic support of the city officials and forces. The Ptolemaic faction now had the two main Seleukid cities in the Mediterranean in their hands. Berenike invited him over to Antioch on the Orontes and again he met a rapturous welcome. But there was a worm in the bud. 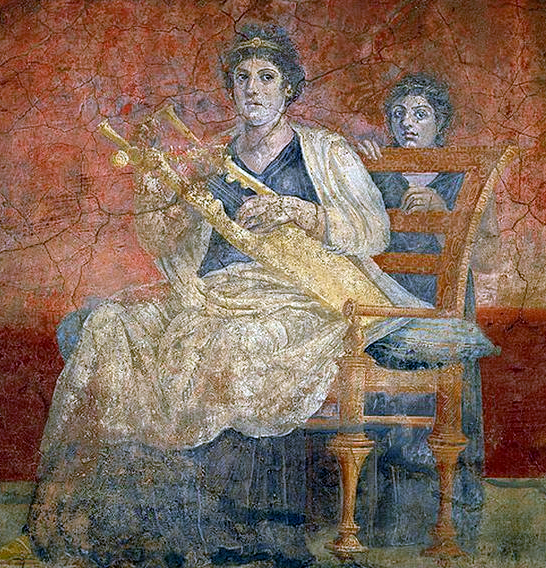 On entering the palace to greet his sister, Ptolemy found that she and her young son had shortly before been murdered by assassins sent by Antiochos ‘grieving’ widow. Another who fought on after his death. Great film !!!!!! Now. With a foreign army deep in its territory, the Seleukid kingdom began to fight back and, somehwhat uncharacteristically for the Ptolemies, so did the Gypos.Fighting went Ptolemy’s way and he gad the allegiance of the satraps from the Taurus mountains to the borders of India. But he decided to quit while he was ahead (oh those Ptolemies !…). Or did he? 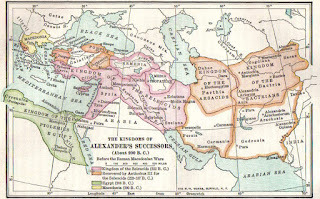 In fact, we learn that while on the verge of conquering the Seleukid kingdom, his own was falling apart. The Greek upper crust in Egypt had a turbulent relationship with the common native population and open revolt broke out. Duty called and Ptolemy returned to crush the peasants. 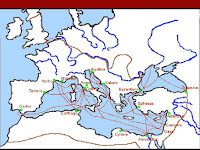 To wind matters up in a suitable politically acceptable manner in 245BC he took the title ‘Euergetes’ or ‘Benefactor’ to hint at all the good he had done by liberating the Seleukid population, and scuttled home. He became later also known as ‘Tryphon’ or ‘The Magnificent’ on the grounds of his sumptuous tastes. The Laodikean War sputtered on but had an inevitable conclusion. Egypt could never hope to hold territory in the Seleukid heartland – Ptolemaic military performance on land was generally lacklustre - and once the Berenike illusion was revealed the kingdom united around Seleukos II. 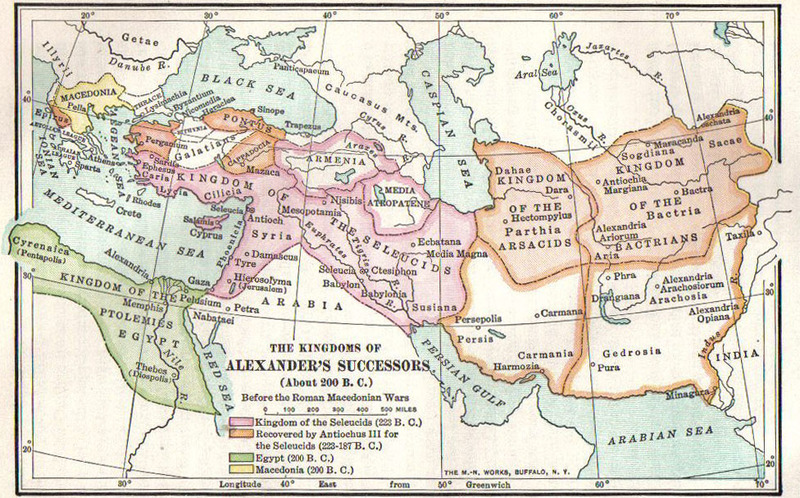 The Seleukid kingdom was put back together more or less as it had been. But neither did Ptolemy lose. Ptolematic naval power overshadowed that of the Seleukids and coastal teritories , naval bases and cities from Thrace to Cilicia came into Ptolemaic hands. Even Laodike’s base of Ephesus was taken and held by the Ptolemic faction. That must have stung. In 241BC peace was agreed. The chairs, and even a table or two had been rearranged but the titanic kingdoms remained to continue their respective declines beneath history’s waves. It would take a couple of centuries, but they were on their way down from this point on. This high watermark for the Ptolemaic naval hegemony saw them with bases in Seleukia-Pieria, Cilicia Trachea, Pamphylia(soon lost), Lycia, Caria, Ionia, the Dardanelles and Thrace. This meant their trade routes were secure and thus their economy. The sea and the desert of the Sinai ensured they remained invulnerable from land attack. The disconsolate brother completed his revenge, though, in 236BC when his forces captured the Seleukid Black Widow and put her to death. The Berenike Chronicles are not, however, finished. 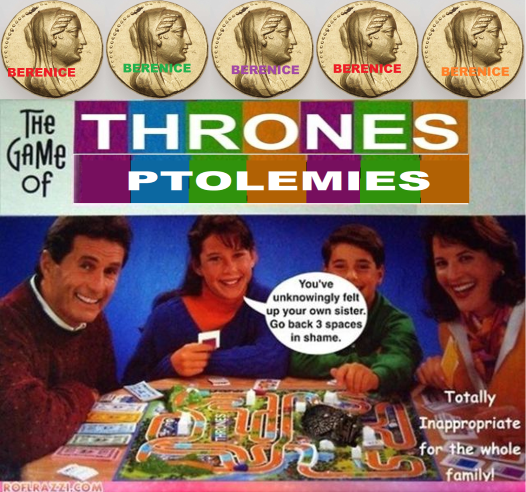 It is a truth universally acknowledged that a Ptolemy in possession of a vast kingdom is in need of a Berenike. So he got one. 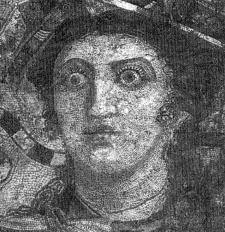 Ptolemy III Euergetes had married a Cyreneian princess, named Berenike. 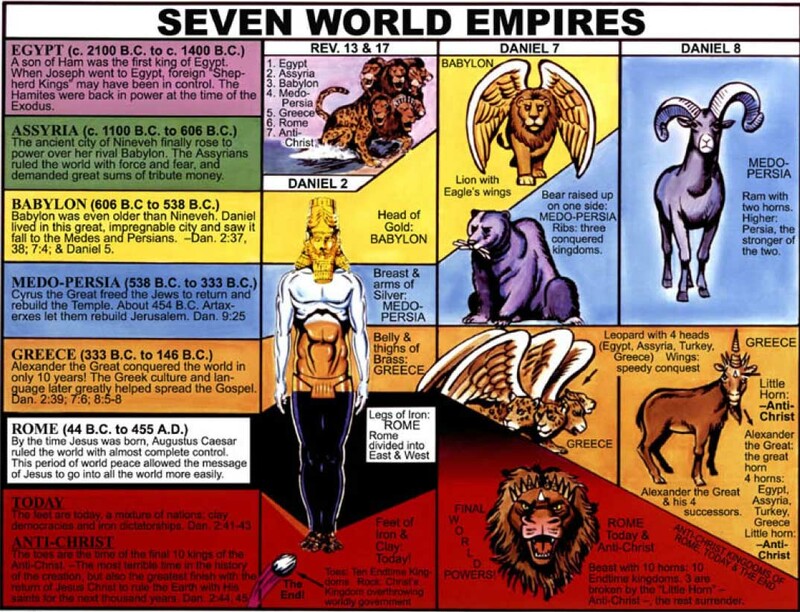 She reigned with him as Berenike II. They even had two daughters, one of whom was, inevitably, called Berenike. Now, this Berenike II was no shrinking violet. She had earlier been married to a Macedonian prince, Demetrius ‘The Fair’, who was, however, Unfair and had an Affair with Berenike’s mum. Accompanied by assassins, Berenike bearded Demetrius in bed with his mum-in-law and watched as he was chopped to bits alongside her screaming mother. This same woman was a famous horse rider and also won competitions at the Pan-Hellenic games. Something in the blood as well as genetic defects… Her horse riding had also stood her in good stead when she had rallied her father’s fleeing troops at a battle in Libya. She mounted a horse and rode among them pleading with they return to the fight. They did so. She was obviously not a Berenike to be trifled with. Disney. 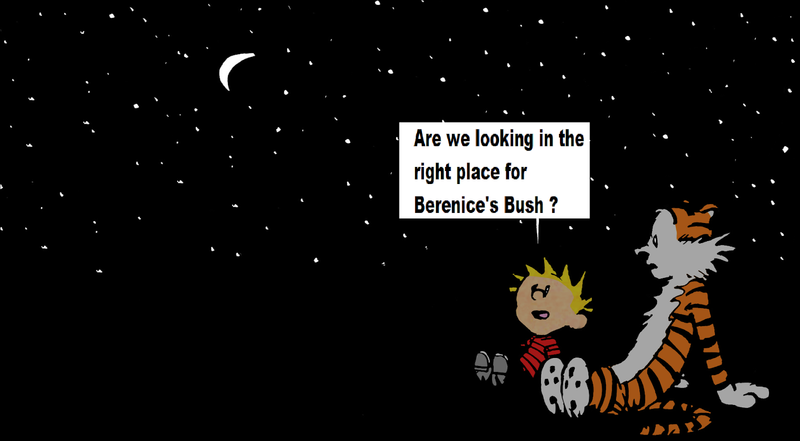 But she is in a desert. When Ptolemy III sailed off to the Laodikean War, Berenike took the wise precaution of sacrifcing to the gods for his safe return. 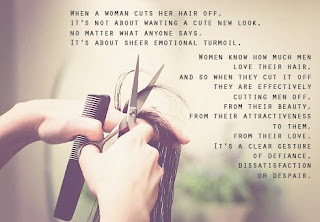 She cut off her hair, a long lock or plait must be presumed, surely not all of it? and had it dedicated it at the temple of Aphrodite in Zephyrium, Cilicia. After the war concluded successfully and Ptolemy had returned it was discovered the lock was missing. The only explanation could be that the goddess had accepted the offering in return for granting Berenike II’s wish. Callimachus’ poem but we do have Catullus’ version written later in Latin as a tribute and covering the same ground. Here is a taste of the thing…. placed me as a new constellation among the old. who merges tardily with the deep Ocean. light still returns me to the ancient sea. 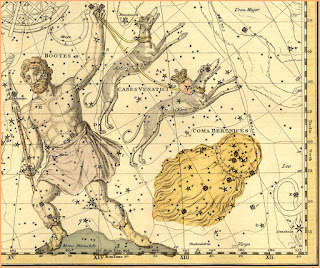 The constellation was not such a success, however, because later star maps sometimes missed Conon’s efforts out, considering he had just stolen a bit of Leo and Bootes for his own purposes. 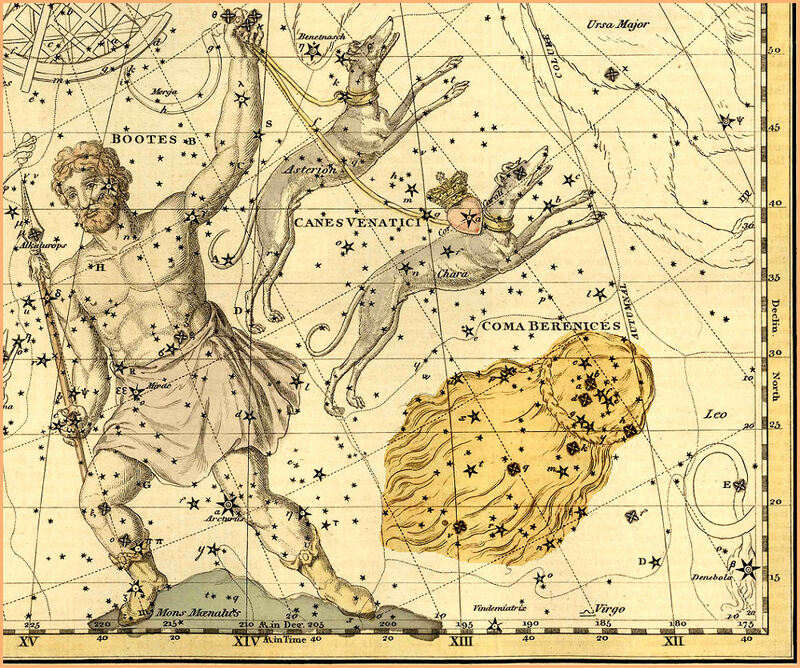 But today Coma Berenices is a feature of our star maps. I cannot resist mentioning that during the 16th century the constellation was often referred to as ‘Berenike’s Bush’. Just where, exactly, the hair was taken from is actually unspecified in the ancient sources. Beat that, Game of Thrones ! Berenike II has also left us with other important visual legacies. This woman obviously made a strong visual impression in her lifetime or she was a narcissist. Maybe both. In any case it is unusual to be able to see the face, although somewhat stylised, of a character from ancient history. Coins with her likeness are some of the finest minted in the ancient world. This beautiful mosiac from Alexndria was initially considered to be a personification of the city but is now recognised as a portrait of Berenice II. It was made as a copy of a fine wall-painting. And from Pompeii comes a fine wall painting which was itself maybe a copy of an Egyptian or Greek original. The picture comes from the Villa Boscoreale. It shows the great queen with her lyre. And finally, also from Villa Boscoreale, we have the Egyptian-Greek princess who became queen of the Seleukid kingdom. 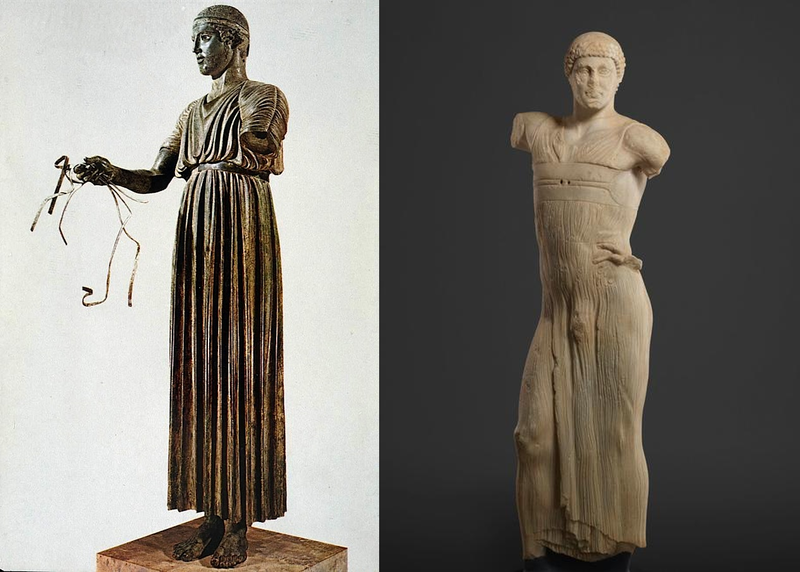 The teenage charioteer whose marriage ended a war and started another. The resolute mother who launched a fleet on a military campaign and was murdered along with her young son on the orders of the vengeful Laodike, but who lived on after her death to maintain the Ptolemaic faction in Syria. Her murderer had probably just poisoned her husband Antiochous II, in order to replace him with her previously ousted son. Game of Thrones? 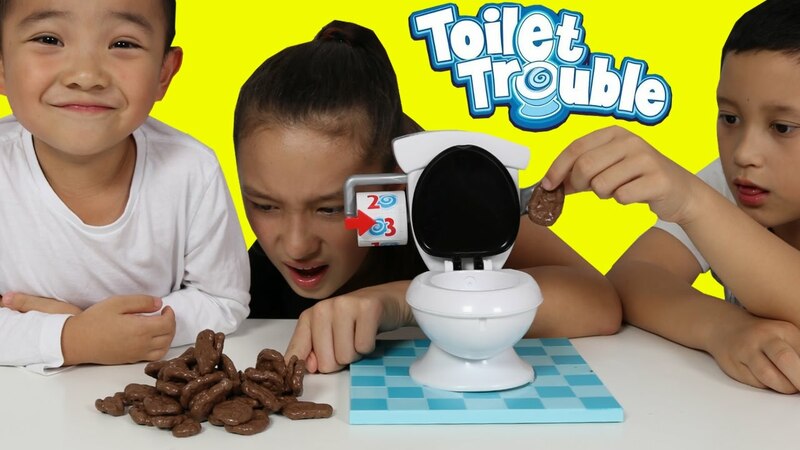 mere child's play in comparison. The motif on the shield, symbolic of her attempts to shield herself and him, is her young son. P.S. This is long and complicated but I am still not sure if I have the whole picture !!!! !